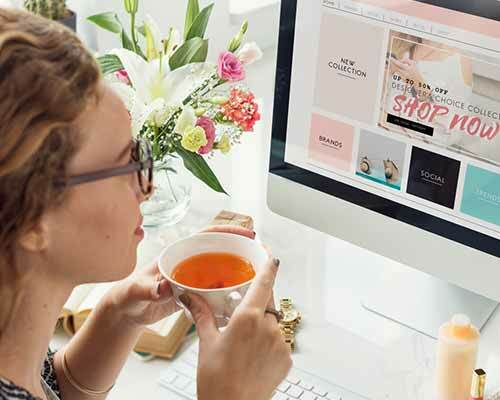 We develop a temporary, fully ecommerce-enabled landing page designed for your specific campaign and, if desired, for each influencer you’re working with. Comprehensive tracking capabilities let us differentiate between traffic source, for example between Instagram and YouTube, and even posts and stories. We can help you compare influencers and the platforms they use! Site design is quick and flexible; you can even offer your influencer partner a page that sports her image and other complementary design elements, giving you an edge over other brands trying to work with the same influencers. You can literally be ready in one single day. We can either send you the orders so that you can fulfill them to the consumer, or we can fulfill them for you (just send us a pallet, we have a complete warehousing, fulfillment, shipping and customer support capability). Your influencers send their followers to your landing pages to purchase your products (instead of to a retailer giving you poor or no ability to attribute sales directly with an influencer). Our page is loaded with tracking information, giving us the ability to attribute sales to influencer, platform and specific post. With our system, you can A/B test for messaging optimization, all the way down to the platform. For example, what works better for you on Instagram - posts or stories? We can give you the answer. You see, there is no substitute for actual sales data... everything else is anecdotal. We collect detailed campaign metrics, including sales by influencer, traffic source by platform, conversion rates, hashtag analysis, customer demographics and more. Our analysts then combine the sales data with other demographic data to give you an incredible analysis of your campaign, including a ranking of your influencers’ performance and recommendations for selecting influencers in the future. Want to see what to expect? Click below for a sample report…we think you’ll be amazed at what our service platform can do for you!